Welcome the new Sumter County Fire Department! For many years the constituents of Sumter County, Georgia have been served by a dedicated group of volunteer firefighters. 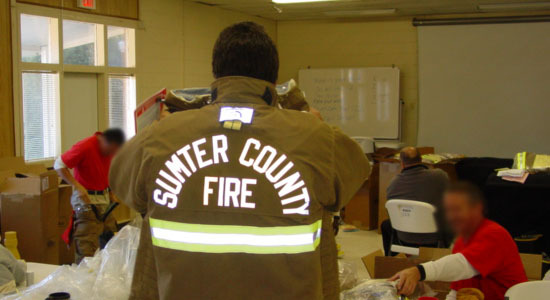 Over the years, however, the needs of the community had outgrown the resources that were available, so in October of 2009 the Board of Commissioners for Sumter County, Georgia took on the task of developing countywide fire protection services. 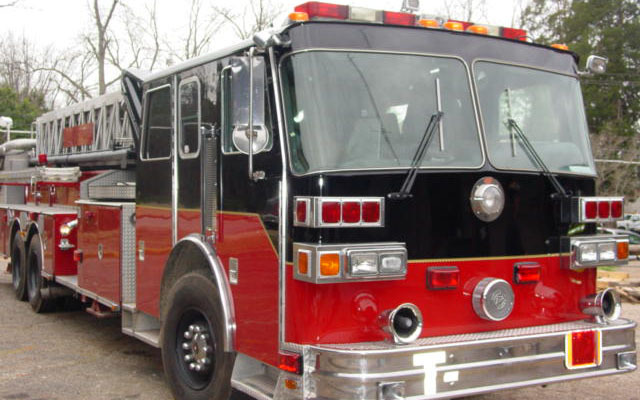 Their vision was to build a Fire Department that utilized modern technologies and fire suppression strategies that would also assist in providing lower insurance premiums through improved ISO® ratings. To accomplish this task they employed the services of NFSO and for the past year NFSO has been assisting the county in building a fire department they can be proud of. This was a monumental project which included the purchase of all the needed apparatus and equipment along with the hiring and training of staff. This included the implementation of an inmate firefighter program that recruited and trained 12 inmate firefighters. The training received by the inmates along with all career and volunteer staff included FF1, First Responder, Rescue Specialist and Haz-Mat Ops. The SCFD has been fully operational since January 1st, 2010. The inmate program has been a huge success and a tremendous benefit to the county, as the cost per inmate is a fraction of the cost of a career firefighter. Due to the reduction in volunteerism, this program has proven to be a great remedy in solving manpower issues. Other community leaders have taken notice of Sumter County’s example and are certain to follow their lead in the near future. NFSO assisted Sumter County with the purchase of several new engines, along with a nicely refurbished heavy rescue and aerial platform. NFSO staff was instrumental in the acquisition of everything that the new department and staff needed, including new turnout gear, uniforms, etc. In anticipation of their first ISO® inspection,NFSO put SCFD on a program designed to build quality records of all required items such as staff training and incident reports, as well as records of pump and hose testing. For this purpose, NFSO installed an underground test tank and instructed the staff on how to maximize ISO® points on the pump test.